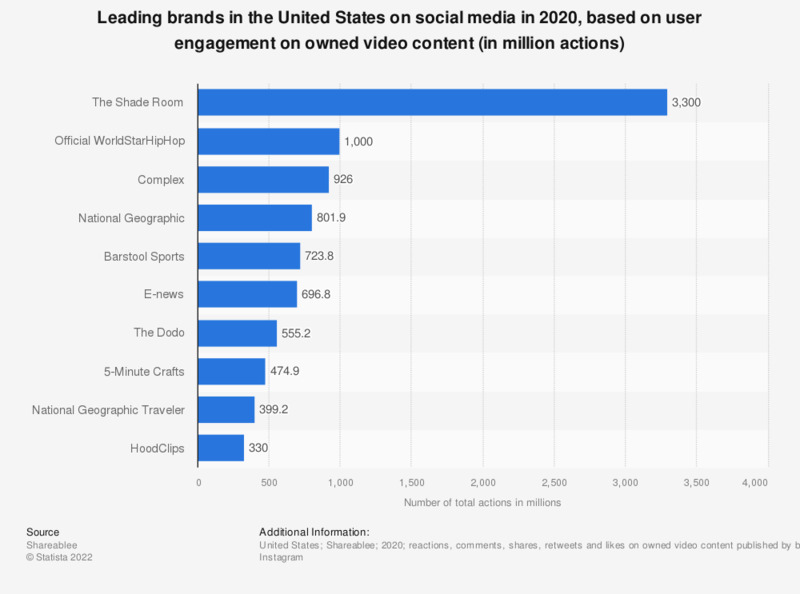 The graph shows leading U.S. brands on social media in 2018, based on user engagement on owned video content published by brands on social platforms. As of the measured period, the House of Highlights had the highest user engagement with 1.07 billion total video content actions. Second ranked was the NBA which accounted for around 878 million cross-platform video actions. These rankings exclude sports teams, TV shows and public figures.